I don’t think anybody was that coming. Las Vegas oddsmakers expected a 4-point Trojan win. Maybe they meant to say a 4 touchdown win. If you told someone the Trojans were gonna pitch a first half shut out—especially following that defensive performance against Stanford—they totally would’ve thought you were hard trolling. Don’t get too comfortable with this win though. Just look at what UCLA and Utah managed to do in their conference matchups. Utah did to Oregon, what Oregon used to do to them. And wow, look at me. I’m doing exactly what the commentators did at the start of the second half: chatting about every other game that had happened in the nation other than the one I’m supposed to follow. Back to USC…I’d be stupid to say I wasn’t impressed or satisfied with a blowout win—or just a win in general. This was also USC’s first win in Tempe since 2009. However, the Trojans still had their fair share of mistakes this game. Without all the extra help from ASU miscues, this game could’ve been a lot closer. If you were wondering whether the Trojans could pick up more flags than last week, they gave you an answer. They outdid their previous 8 with 10 penalties for 91 yards. On the other side, ASU had 2 for 25. Some were extremely costly despite the small amount of yardage. An offside penalty on third down ended up gifting ASU a first down. A pass interference on fourth down was even worse. There was also a baffling offside penalty on Iman Marshall. When’s the last time you heard of a non-blitzing corner get called for that. It got declined though—because he picked up a personal foul later that play. 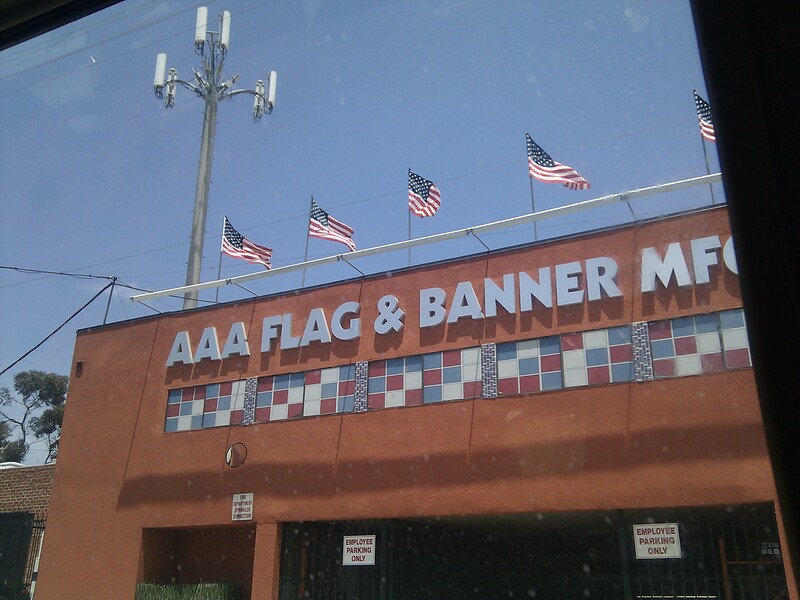 USC had more flags than this store. Probably. The defense also still had trouble stopping the run. Furthermore, there were occasions that tight ends were wide open in middle of the field. Ultimately, some great defensive plays and a little bit of bad luck on ASU’s part made it moot. We must credit the Trojanswith improvement though. ASU quarterback Mike Bercovici looked uncomfortable the entire night. A lot of pressure provided on linebacker blitzes forced errant passes. At some point, I’m not sure what was creeping up more, the linebackers up to the line, or the midriff line of the Song Girls’ tops. Jackson tacked on punt returns of 8 and 45 yards, to bring up his all-purpose yards to 184. If you do that math, he netted the team about 36.8 yards every time he touched the ball. Sadly, his 45-yard punt return with the added facemask penalty was wasted by a turnover. Kessler’s fumble near the goal line and interception during the first drive were USC’s first two turnovers of the season. Luckily, the team had four takeaways to end it with a positive turnover margin. Unfortunately, both of USC’s turnovers happened in the red zone. Again, these mistakes ended up not mattering in this game. Kessler more than redeemed himself. On one particular play, he avoided two would be sacks on third down to toss it off to Justin Davis for the first down. The offense he led is now averaging 8.06 yards per play, which is good for #3 in the nation. Third down conversion was phenomenal as well. Not only was their pre-garbage time third down conversion percentage great, but they managed to convert some longer ones. USC has converted third downs of 5, 6, 8, 10, 11, 12 and 15 yards. It has converted 9 of 14 total in the game. ASU’s plan seemed to set on shutting down USC’s run game. I think they did a commendable job with that. They were also able to sack Kessler a couple of times. Too bad the passing game answered with big play after big play. Remember how ASU was able to score 3 touchdowns in under four minutes without getting onside kicks and no timeouts? USC had their own version at the end of the second half. USC was up 14-0 with less then 4 minutes until halftime. If I had stepped out to take a phone call or something, I would’ve thought ESPN messed up the score again. 35-0? What? When it looked like ASU was going to score, Delvon Simmons shot through a gap and hit the running back during the exchange. The resulting turnover was remniscent of another USC safety playing on the road. Then the kickoff returner, De’Chavon Hayes, hesitated, but decided to take it out of the endzone anyway? Clown move, bro. Bad enough to start at the 5-yard line, but to tack on a fumble? Maybe it’s a curse for switching to Adidas. If it is, I hope UCLA gets the same Adidas curse. At the close of the game, USC’s offense ranks #8 in points per game. The defense ranks #25 in points allowed per game (tied with Alabama). Not a terrible position to be in, but they must continue to improve. They will face three teams in the current AP top 10 later in the schedule: #6 Notre Dame, #10 Utah, and #7 UCLA. What’s interesting is that Sark got it right about two teams, it seems. Whatever pill Sark had at the Salute to Troy event, it must’ve given him prophetic abilities. Maybe it was one of those NZT-48 limitless pills from the show we kept seeing commercials about. No wonder he would keep that a secret from the media. Time to see if Notre Dame lives up to Sark’s prophecy. ASU outscored USC in the second half by double. USC only outgained ASU by 1 yard.